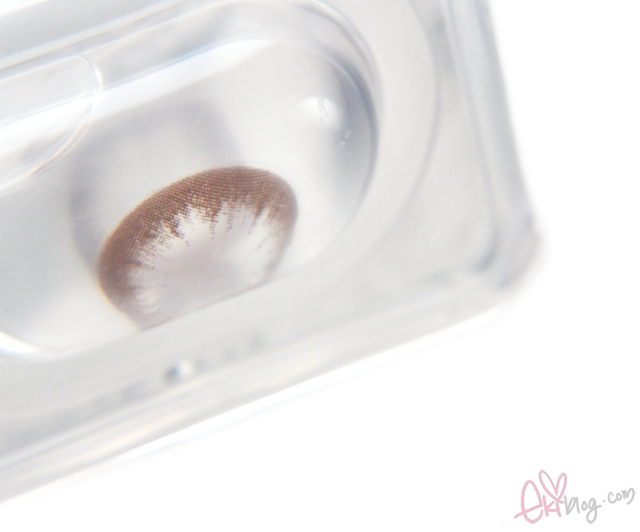 This post is for Hana 30 days contact lens review! 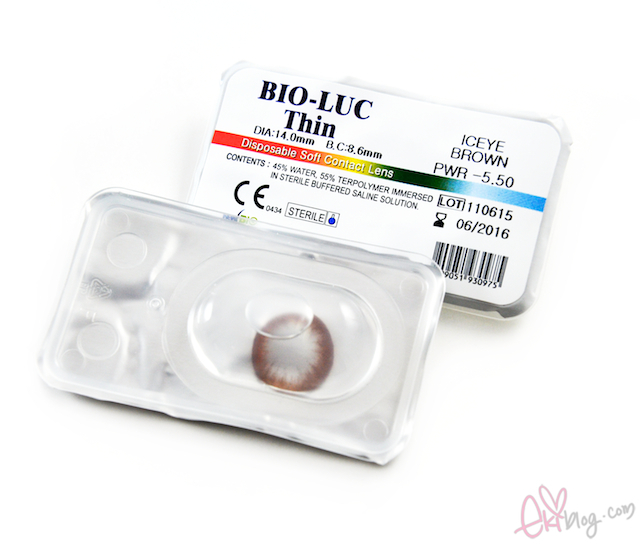 One of the first monthly circle lens on the market, this lens have higher water contents of 45% can comfortable wear this lenses for long periods of time without discomfort. 1 pair per box for $11.90 at pinkyparadise. Again with the lens DIA being off? 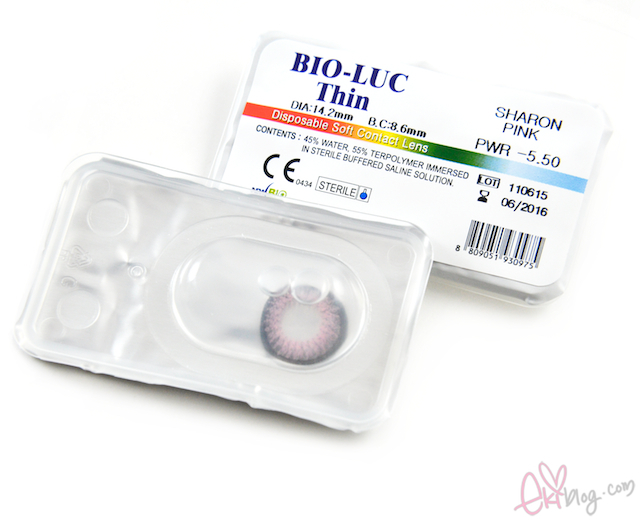 I think this one is like !4.0mm instead, if you look at the first photo with the side by side comparison photo you can see that this sharon pink lens are definitely smaller. 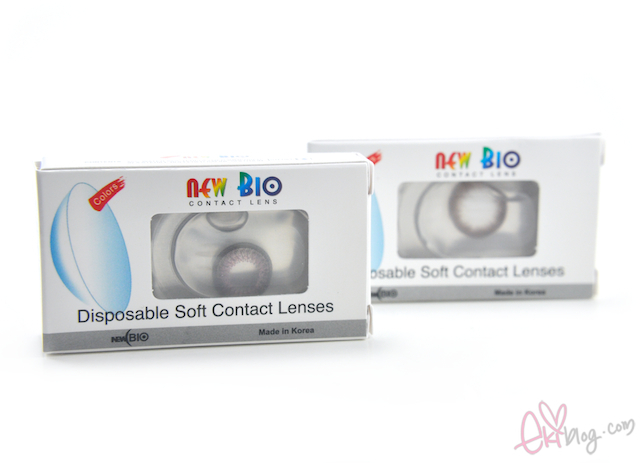 I prefer smaller lens so I LOVE like this lens, the color are opaque, the pink shade a subtle and not so wild, looks somewhat natural and best of all comfortable! The shade are somewhat purple-ish pink from afar looks light brownish and not so fake looking as you see really close up, LOVE the smoothly blended pattern. wowow these look amazing!! Finally totally comfortable circle lenses! Wow, these look really pretty! I like that Sharon pink color! Ooh, how interesting! I didn't know that higher water content means more comfort. Great to hear that they live up to what they claim. And both look super cute on you! I think one day I'll end up with buying one of these colored contacts, just because of you :) They are so pretty on you. They look really nice thanks for the review! The second ones are amazing, the color is so pretty and surprisingly natural looking? If one could even say something about pinkish lenses! I love the pink! Gorgeous! thanks for the review, yes the brown one give the natural look. kinda shock that actually there're lens like that. I mean, even the diameter make it looks like real :)) and I love the pink's lense detail! I love those brown lens! :O So cute! they're both really nice colours....browns a little different isn't it, goggly looking.. I love the pink!! Sooo cute! Very nice! Like both contacts! Thank you for the review Eki! I prefer the brown ones myself but they look very cute! I love the brown one! Nice!! I am not sure whether this is available in malaysia? I love your lenses are so beautiful!! Hi Eki! I know it's been a while since you've posted this review, but I was wondering if these lenses came in prescription. On the site (might be because stocks are low), I cannot get them in prescription. Do you wear prescription lenses as well? Thanks!